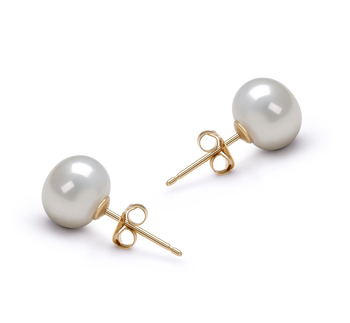 Just like their name, the Zelda Earrings are fun and flirty yet have a sophisticated styling that lends to every wardrobe style from casual to elegant. 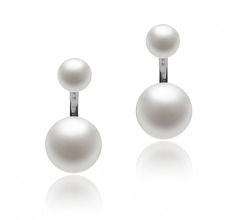 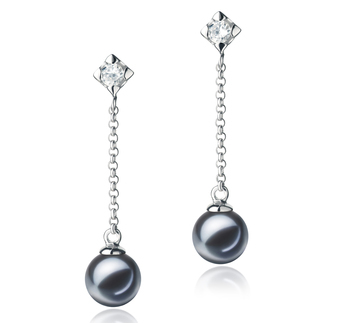 A pair of white, 6-7mm pearl studs connects to a pair of 10-11mm button pearls by a slender silver bar, curving between the two. 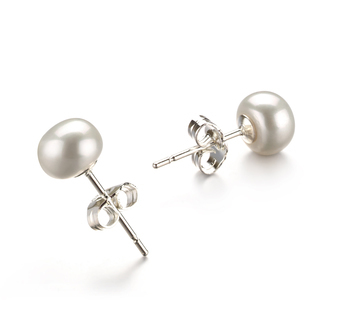 This simplistic styling has the look of a pearl stud through the ear with a drop pearl suspended from the bottom of the ear. 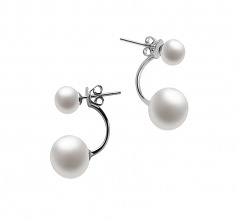 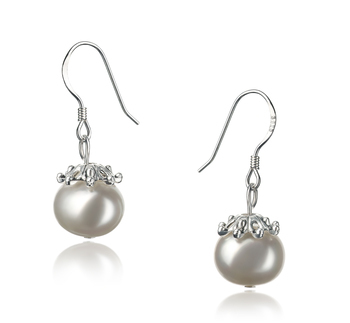 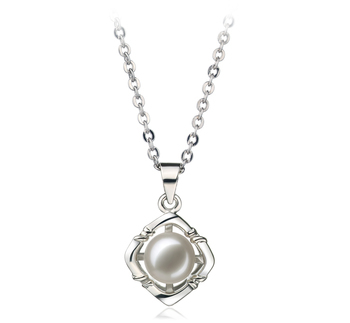 The freshwater pearls are AAA grade with an unblemished surface that shimmers with soft, iridescent hues. 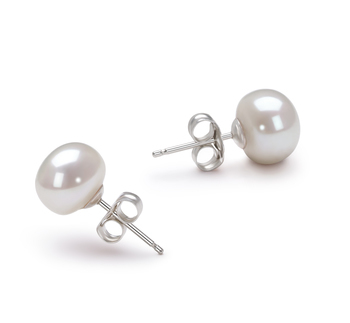 The Zelda Earrings are classic enough for formal evening wear, sophisticated enough to wear with a business suit, yet modern enough to wear for a casual weekend spent with friends.